On Monday, Western Fumigation participated in a stakeholder meeting to discuss two proposed changes to the fees that USDA currently charges for the supervision of fumigation treatments. As you may be aware, the present fee structure consists of one charge for overtime expenses incurred by USDA. This charge, in turn is then prorated amongst the owners of the cargo fumigated. The current overtime rate has been maintained since 2002, and is due to be increased by approximately 45% for future fumigations. Concurrently, USDA has proposed an additional fee of $375 per monitored treatment. Western has been actively working on behalf of our clients against the imposition of the additional treatment fee, both through the National Pest Management Association, of which it is a founding member, as well as directly with USDA. Western will be participating in further discussions on the topic with USDA on May 29th, and we will continue to keep you updated on this issue. Western was honored to sponsor the official visit of Headquarters CBP official, Mr. Rich DiNucci to the Philadelphia region, recently. 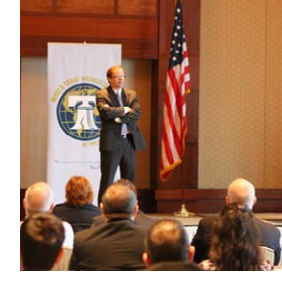 As CBP’s Acting Assistant Commissioner for the Office of International Trade, Mr. DiNucci addressed a full house in Philadelphia on a range of new initiatives designed to streamline processes affecting international trade. The forum brought together a cross-section of the region’s port community to hear first-hand about the new priorities mapped out for the agency. These include ensuring uniformity in processing cargo at all the nation’s ports in order to eliminate inconsistencies in the treatment of cargo. Further, Mr. DiNucci announced that by October of 2016, all cargo will be processed and released electronically through the Automated Commercial Environment (ACE) system, which has been under development since the mid-1990s. DiNucci also discussed the relatively new Centers for Excellence and Expertise (CEE). These centers are designed to be “virtual” and were created to give the agency a better understanding of the industries being regulated in order to facilitate the movement of cargo. CBP has a total of 10 CEEs in the areas of agriculture, consumer goods, apparel, automotive, base metals, petroleum, pharmaceuticals, electronics, manufacturing, and machinery. Additional improvements in processing will include the use of tablet computers by CBP officers to speed up the release of cargo directly from the pier once an inspection is completed. This rollout is designed to leapfrog the ELMO (Enforcement Link to Mobile Operations) technology that has been in pilot program mode to-date and is a welcome development. Western Fumigation continues its commitment to our clients and will continue to support important initiatives and discussions that facilitate trade in our region. Please feel free to contact us at mborja@westernpest.com if you have any questions.